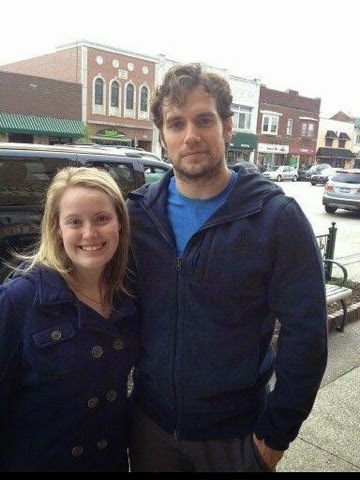 Henry Cavill News: Charming Henry: BEST. PICS. EVER. 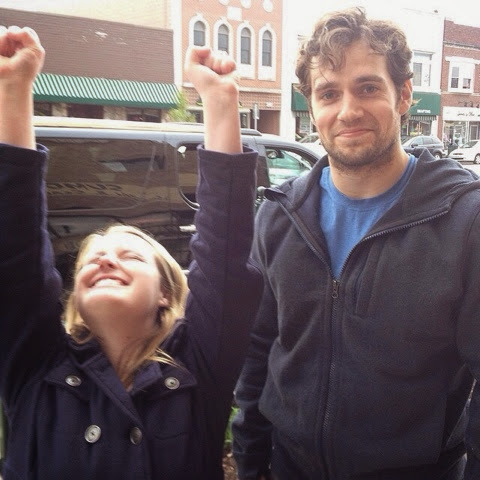 This should be everyone's reaction after meeting Henry Cavill. UPDATE: @AloraFalconer (IG) is the lucky girl who got these great photos with Henry a few weeks ago in the Detroit area. Thank you for reaching out! - below are the better quality pics Alora shared on Instagram. "My dream came true. 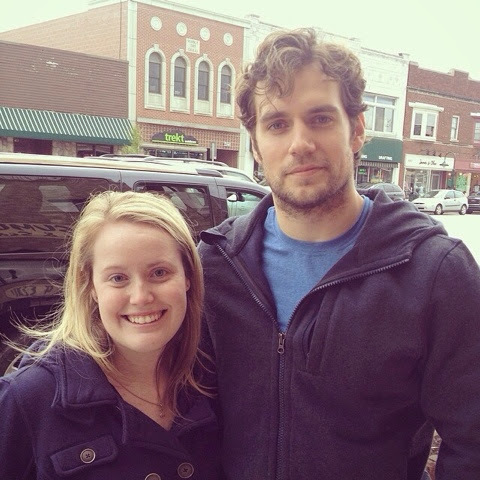 I met Henry Cavill!!! 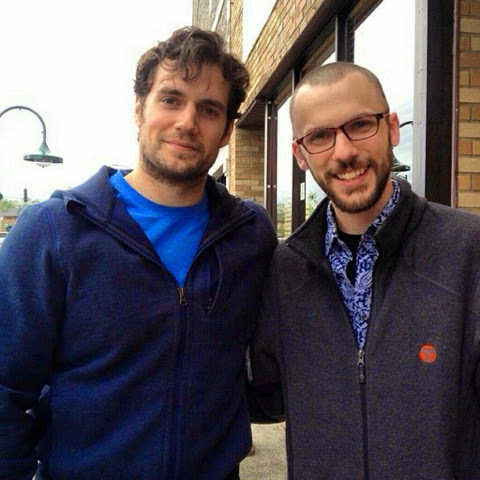 #Superman"
Her friend @NickRepp (IG) also got a pic with Henry that day. Nice! Thanks to Alora and Nick, and as always thanks to Henry for being so awesome with his fans. Have a great weekend everyone! Come on man! Let it go! Show us your big beautiful smile. We love to see your teeth. This is so adorable! 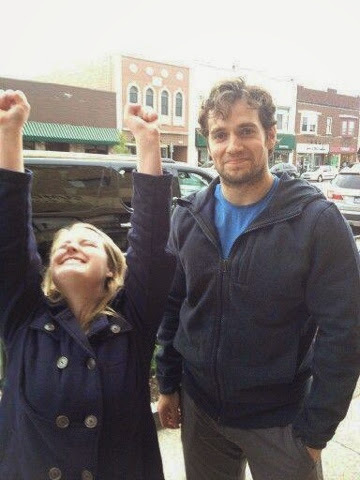 That girl expressing her absolute joy and Henry's expression are priceless! Thanks so much for sharing. I actually think this is in Park City, recognize the street as I've bedn there multiple times. I can be wrong though. I agree with all of you: I miss his pearly white teeth smile too! I think the last teeth smile we got was during his St. Patrick's Day celebrations. That was in MARCH! Bring back the real smile, Henry! We are all so proud of you and want you to really smile! You have so much to smile about! Be proud of your accomplishments! There is an IG a pic of Henry showing his pearly whites with Gina when they were in Chicago in April! The girl--Alora--said that she saw Henry at the Gearboxx Rx store..
Do you know if this was the same store that Henry and Gina were at around March13? You had a post/pic about it.. I don't think he's hiding his teeth, but probably thinks it's funny she's so stoked to take a picture with him. He's humble enough to wonder what the fuss is all about. Another reason why he's beautiful.